See how Arnold Schwarzenegger transformed from bodybuilder, to movie star, back to bodybuilder. Trying to choose Arnold Schwarzenegger's best look is like trying to pick his best movie one-liner. His physique has undergone so many changes over the years, each one awesome in its own way, that it becomes the proverbial apples vs. oranges debate. But many bodybuilding pundits agree that Arnold’s peak shape—onstage, anyway—came at the 1974 Mr. Olympia, a year prior to the contest filmed for the movie Pumping Iron (which casual fans usually assume was Arnold’s most impressive showing). 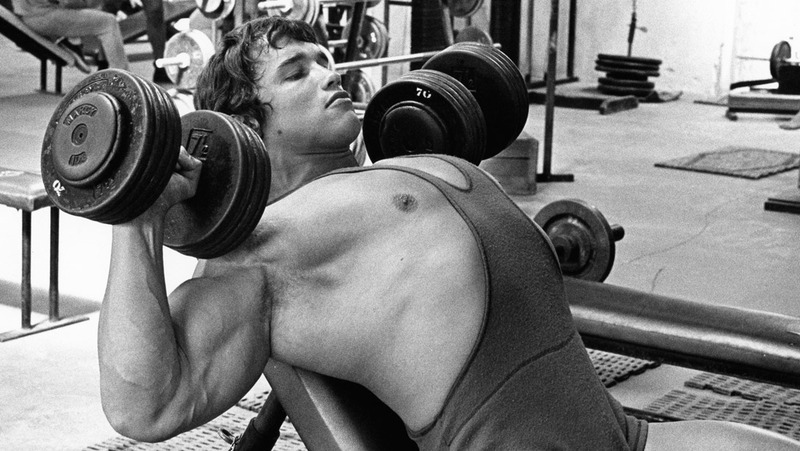 On the 40th anniversary of that competition, we look back at how Arnold’s physique has followed his amazing career, changing for contests, movies, and the demands of a life as public as any ever lived. On Oct. 12, 1974, Arnold swaggered onto the stage at New York City’s Felt Forum to meet Lou Ferrigno. Though the man who would be Hulk was four years younger and 20 pounds heavier, Arnold’s smirk grew wider as he hit his first few poses. At 240-plus pounds, yet with a waistline that still measured just 34 inches, Arnold had brought his best-ever body to the Olympia dais—and he knew it. He’d decided months earlier that he’d retire from bodybuilding after that night, and wanted to punctuate his reign over the sport by leaving no doubt that he was the greatest bodybuilder ever. His blend of mass, symmetry, and definition was absolutely perfect. His arms were thick, his already legendary biceps fully peaked. Even Ferrigno, at 6'5", couldn’t outmuscle him. At the same time, Arnold hadn’t sacrificed any of the definition he’d shown the year before. When he hit his chest poses, lines etched across his pecs as if being chiseled in right before your eyes. His abs and thighs, though never his strong suit, were sharp and fully formed. He had no weak points. He was the best bodybuilder in the world.